Goodness! Did you see it happen? Ours burnt down last year! But its recently re-opened, thank goodness. It was much missed. Hmm! 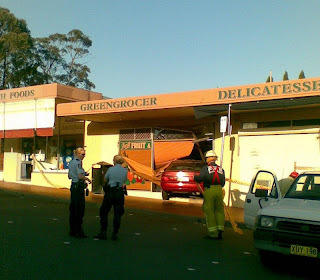 I've heard of ram raids on banks, but fruit shops? 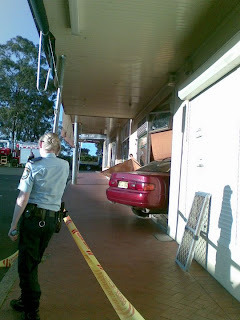 My word verification is 'oushe' - maybe that's what the shop door said! !